Making a meaningful connection matters most, even in the world of high tech. The SSCS Support Department surrounds our customers with the most reliable support framework in the industry. Many factors play a role in what we’ve constructed, but one of the most important is creating a sense of trust among our users. They need to know, and even more importantly, feel, that they are connecting with someone that—in addition to having expertise in SSCS Technology and the c-store industry—really cares about their issues. In a world where customer service is becoming more automated, less human, and potentially more frustrating, SSCS has created market distinction and helped define its identity as a company by emphasizing a personal touch. When all is said and done customer support is, at its heart, a people business, even in the high-tech world. Once new support techs step out of the SSCS classroom after a week of formal training, they find themselves surrounded by a network of insightful, knowledgeable senior support pros to help them get up to speed with hands-on exercises that simulate real life scenarios before they go “live” with customers. It’s the team approach applied to new call training. More on our personal approach to support. 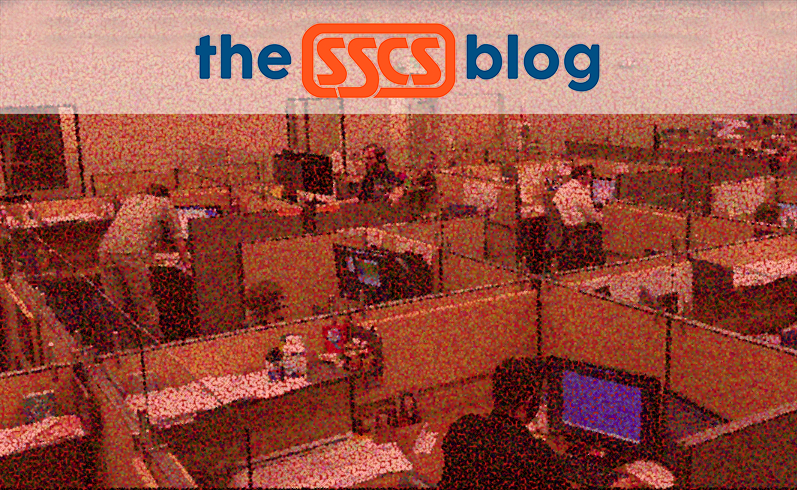 A post on how our sales team functions within SSCS’s customer support initiative. How SSCS support functions during a new customer installation. An earlier interview with a new support technician.